The diaphragm is a muscular wall that separates the abdomen from the chest. In hiatal hernia part of the stomach protrudes upward into the chest through an esophageal opening in the diaphragm. Any internal organ that pushes itself into another area of the body is called a hernia. The esophagus goes through the hiatus and then meets with the stomach. 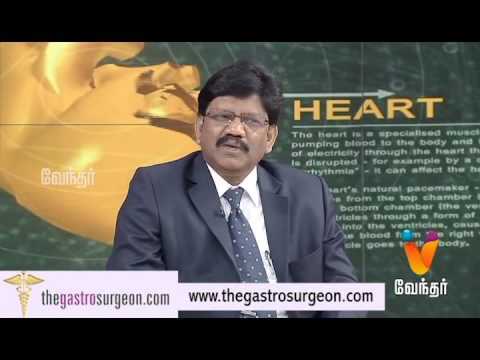 The stomach bulges up through that opening and this condition is called hiatus hernia. 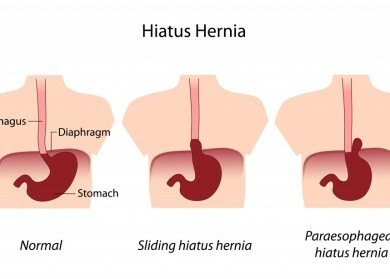 There are two types of hiatus hernia: para-esophageal hernia and sliding hiatal hernia. In this condition, the stomach and esophagus locations are undisturbed. Part of the stomach actually pushes itself upward through the hiatus and lodges itself next to the esophagus. Blood supply to the stomach is strangled. This hernia is very common. The stomach and the part of the esophagus both together slide up into the chest area. A barium swallow followed by an x-ray allows examination of the esophagus and stomach. An endoscope is inserted into the gullet to examine the esophagus for any abnormalities. This is a pressure study which checks the strength and muscle coordination of the esophagus whilst swallowing.